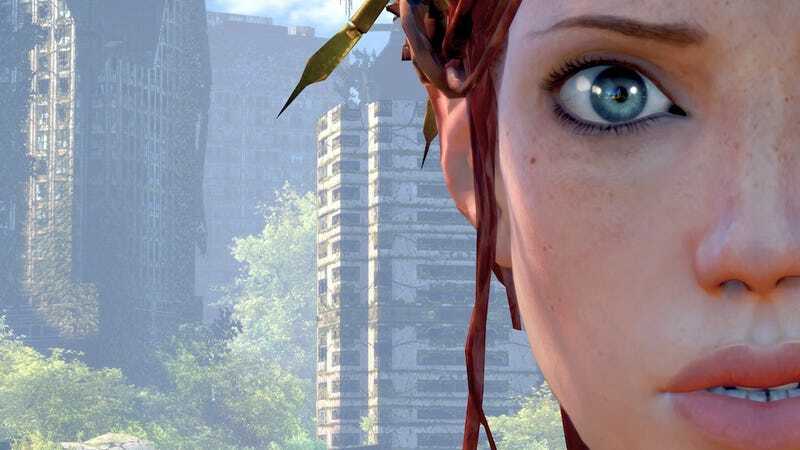 This isn't quite a Last-Gen Heroes entry, but it could be, since Ninja Theory's Enslaved: Odyssey to the West deserves some retrospective love. It was one of the most surprising games of the last several years, and also one of the most beautiful. The game was released last week on PC, which means that Duncan Harris at Dead End Thrills has set about capturing it in all its radiant, post-apocalyptic glory. The PC port is pretty bare-bones—I've been playing it, but haven't been all that impressed with how much better it looks or runs. Harris pointed out that the port has some texture discrepancies; some of the ultra high-res facial textures stand out when placed against the plain textures in the backdrops, which you can notice in some of the shots here. But while it may not be a polished port, it's still been nice to return to the game, and cool that Harris has still been able to unlock the camera and capture some great high-res images.